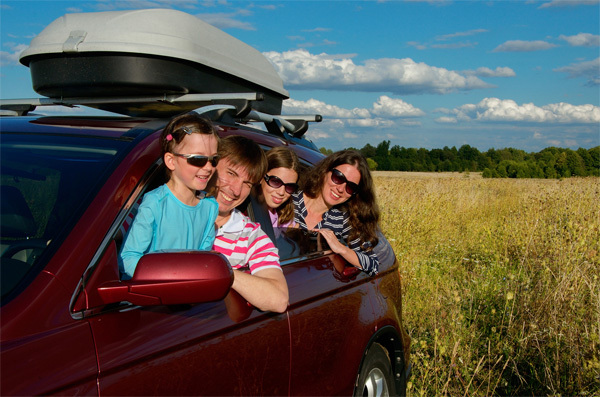 In choosing the family car, safety, convenience, and cost are the top considerations. When you are younger and earning quite well, one of the first acquisitions you might run after would be car. It gives you the convenience of going anywhere you want plus the image that goes with it. So most of the time, the sassiest car is chosen, partly because of the status it represents. In my case, I did not really care for a car so I could say that I only decided to buy one when I was already married. Hubby and I shared in buying the car. We had a great many adventures with our Hyundai Getz. But let’s face it, the Getz is a small car and now with two kids, our youngest daughter at age 3 is already asking us to a buy a “car with more seats.” Phew! She actually means an SUV that could fit us and a few other family members plus luggage, as she notices that she gets squished whenever some people would hitch a ride with us. It seems that our daughter already knows what she wants in a car– more room. But side from that, what are other qualities that we should look for in getting the perfect family car. 1. Consider how many are you in the family and the ages of your children. 2. Evaluate the car’s safety features. 3. Consider how you will use the car. 4. Make the most of a test drive. Bring the whole gang along! 5. Weigh the pros and cons of the options presented to you. 6. Weigh all the features according to what you can afford. The bottom line would still be the car you can afford. For our family, we will have to stick to our old car because Papa and Mama cannot afford yet to take out car loan for now. 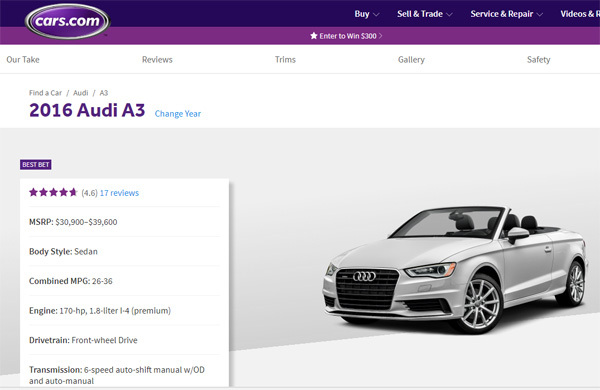 In evaluating the car’s features, I have discovered a website that will easily turn all the information you need in one place — www.cars.com. Cars.com is like your one-stop resource for all the car information you need, from models, to prices, to features, and most of all, reviews. The site is easily navigable and has a clear, no-nonsense presentation that both young ones and the technologically challenged can understand. You can easily check on the car make and year and the website instantly pulls this information for you. Additionally, Cars.com provides a venue for car owners to sell or trade their cars. There is also a feature where users can upload an ad for the car they want to dispose of for an affordable fee. It is really a very useful website for car owners and even dealers. You can also easily trade or sell your car here. With family or not, Audi cars are one of the best in industry. And I like them coz they are spacious, have more comfy seats and i like the materials they’ve used for the interior of their cars. Not cheap but worth it. Buying a car these days can be really hard now as there are sooo many choices to choose from and cars are definitely more affordable now than it was before! Its been two years since we switched to a bigger ride. We chose a pick-up truck for personal and business use. Thankfully we found something that fits our budget and exactly what we need. Great tips. Getting a car these days is now important for family needs.